The day is April 11, 2015. Donald Trump’s presidential election campaign is yet to be launched, Australia is still basking in a memorable Cricket World Cup victory over New Zealand, and American Pharoah has not even lined up for the first leg of the Triple Crown. Oh, and it is also the last time Winx was beaten in a competitive race. Exactly 1,463 days later, or four years and two days, the champion that is Winx will strut her stuff on a racecourse for the final time, bidding to record an unprecedented 33rd consecutive Australian victory in the Queen Elizabeth Stakes (G1), a 2,000-meter (about 1 1/4-mile) race at Randwick. In truth, the well from which the racing media have derived superlatives to describe the Chris Waller-trained mare dried up a long time ago. What feels like an eternity has passed since Gust Of Wind sailed up the Randwick straight to register a 2 1/2-length victory over Winx, who amazingly had yet to win a group 1 at the time. Twenty-four elite-level victories later, it is fair to say she has more than made up for lost time in that respect. While the subsequent exploits of the runner-up are well-documented, John Sargent—the name on the trainer’s license of the last horse to inflict defeat on Winx—remembers that afternoon in Sydney as if it were yesterday. “Zac Purton rode her in the Adrian Knox and said she’d be a good chance in the (group 1 Seven News Australian Oaks), so we paid a late payment for her, and it all panned out beautifully,” he said. “Tye (Angland) gave her a brilliant ride. He was on the inside and just kept sneaking up and gaining ground down the back straight. By the time they turned into the straight, he was starting to put two or three lengths on them, and she just outstayed them. “I had another horse in the race, Thunder Lady, who was one of the favorites, but she couldn’t handle the track and finished fifth. Gust Of Wind relished it and won easily. Despite admitting that he, like everyone, could not have foreseen the ensuing success of Winx, Sargent always held Gust Of Wind in high regard—sentiments that were validated after her remarkable maiden victory at Scone. “She was a very good horse. I remember her first-up win at Scone—it is still one of the best finishes ever in Australian racing,” Sargent recalled. “She would have been around 30 lengths from the leader—10 to 15 lengths from the second-to-last horse—and she came down the outside and won. She was under a ride from the start, couldn’t keep up, was miles last turning into the straight, and got up on to the line. That’s when we knew she was good. “She was very unlucky in the Melbourne Cup (G1). She got knocked over by Frankie Dettori up the straight and came home for sixth. That was a huge run. Next season, she had (hoof) problems, and we had to retire her. “You don’t realize how good they are until they go,” Sargent continued. “To run first and second in an Oaks—the two horses were obviously very good, but I had no inclination at the time just how good Winx would go on to be. I don’t think we saw how good she was until she went up to Queensland. She really grew a leg in the Sunshine Coast Guineas (G3) and from there onwards. As Sargent said, a lot can change in four years. While Winx has gone on to cement her place among the sporting greats, Gust Of Wind has run a further nine times, been retired, and become a dam to a yearling colt by Arrowfield Stud resident Snitzel. Although often impossible to predict, Sargent is confident that Gust Of Wind will enjoy similarly high levels of success in the breeding barn. “It will be interesting to see. She went to stud early, so she could easily have good success as a broodmare,” he said. “Some champion mares seem to have those male hormones and never seem to produce, but I hope she does. 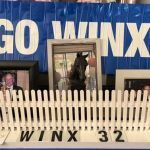 Winx is set to embark on a broodmare career of her own after Saturday’s swan song, but first she must do what the racing world expects her to do and record a third Queen Elizabeth Stakes victory, one that is certain to induce more tears than each of her previous 36 career successes combined. 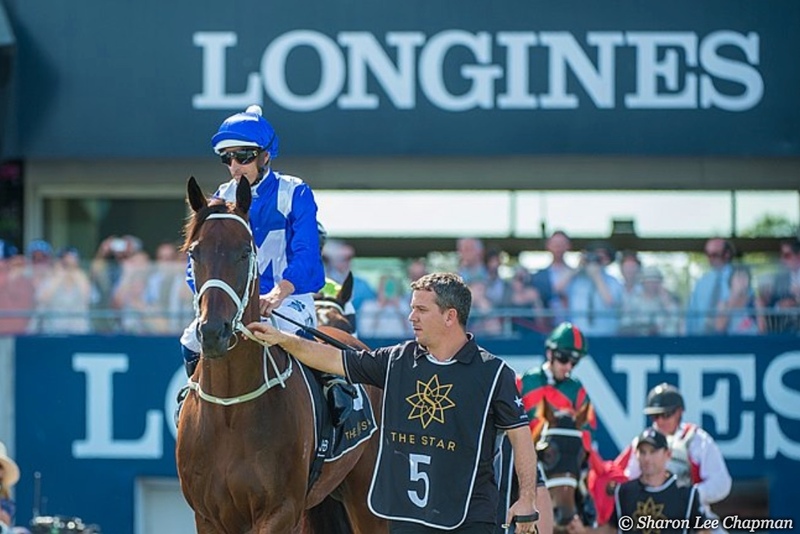 When asked what he feels Winx has done for racing in Australia, Sargent responded with “everything” in an appreciative tone before elaborating on his initial thought. “She’s brought a whole new crowd to the races. I’ve been training here now five years, and I can just see the younger people coming every day,” Sargent said. “There was a big gap here when I came, and it was the same in New Zealand, where it was the older generation who went racing. Now the younger people come because they want to see her, and we have huge crowds because of it. McCaw seems a fitting anthropomorphic comparison for Winx. Many tried to thwart his all-conquering All Blacks side in a way not too dissimilar to how trainers, including Sargent, have tried to end the incredible winning sequence of Australia’s equine sweetheart. “I’ve had a few take her on since the Oaks, including Gust Of Wind, but you wouldn’t want to take her on too often. She seems to break your heart,” Sargent said. “I had a horse against her when she won at the Sunshine Coast, and when she won that day, she came from about 20 lengths last. She couldn’twin as they straightened up. “Alan Thomas was the commentator, and I remember being in the jockey’s room after the race and (Winx’s rider) Larry Cassidy said, ‘This is the best horse I’ve ever ridden,’ and he’d ridden Sunline—that’s how good she is. Winx passed a vet inspection April 11 ahead of her swan song in the April 13 Queen Elizabeth at Randwick. The mare was forced to trot up for a vet after kicking out at the fence ahead of her routine pre-race Thursday exercise at Rosehill, and she was found to have walked away from the incident none the worse. Waller seemed unfazed by the mare’s behavior. He and the connections are confident heading into Saturday’s race.